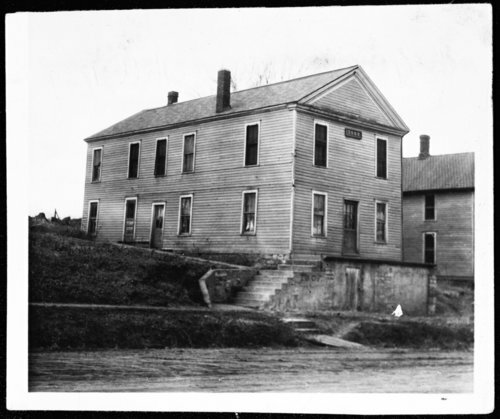 A photograph of Constitution Hall in Lecompton, Kansas. In January 1857, the second territorial legislative assembly met on the upper floor of this building. The Kansas Legislature approved the state to operate Constitution Hall State Historic Site in 1986. The site was listed in the National Register of Historic Places in 1971 and became a National Historic Landmark in 1974.